Our ultimate OMG, designed specifically for full-time use for profit or charity. It features everything you need: dual frying baskets, a lava grill, a heavy-duty cooktop, steam tables, a freezer, a 3-compartment sink with a separate hand-washing sink, and much more. This is truly the world's premier maximum-impact, affordable concession trailer. The Steampunk ultra-classy, high-performance BBQ trailer features our patented, blue-ribbon winning dual chamber vertical smoker. It also has everything else you need to take home the top prize: a Santa Maria-style grill, five-compartment steam table, a Blackstone griddle, a four-compartment sink, and two poly-resin cutting boards. This workhorse OMG food trailer includes everything you need to feed with speed. It has a deep fryer, Santa Maria-style grill, five-compartment steam table, a Blackstone griddle, and two poly-resin cutting boards. With cooking capabilities as diverse as Texas weather, the Texan is a fully-featured mobile kitchen. Includes a Blackstone griddle, Santa Maria-style grill, a smoker, five-compartment steam table, a four-compartment sink, a freezer, and two poly-resin cutting boards. Our bestselling OMG, the Chef is a cook’s dream kitchen on wheels. 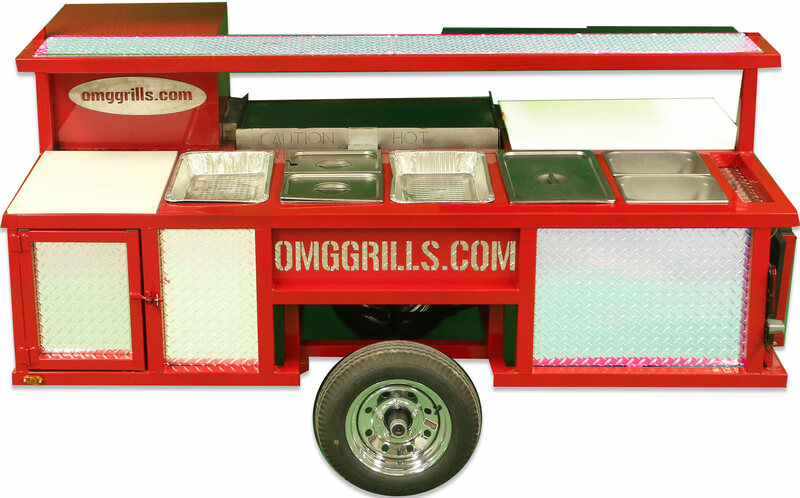 This unique concession trailer includes a Blackstone griddle, Santa Maria-style grill, a smoker, five-compartment steam table, a four-compartment sink, and two poly-resin cutting boards. Specially designed with speed and scale in mind, the Parks & Rec features two Blackstone griddles plus a bonus cooking area of either a smoker, a warmer, or a flat top grill. Also includes a steam table, four-compartment sink, and two poly-resin cutting boards. Cook for any crowd with this high-capacity, affordable concession trailer. The Lonestar food trailer is powerful yet extremely compact. Includes a Blackstone griddle, Santa Maria-style grill, a smoker, four-compartment steam table, and two poly-resin cutting boards. Named after the area code of Santa Maria, California, the 805 ultra-unique BBQ trailer allows you to cook in style and scale with its giant Santa Maria-style grill, Blackstone griddle, and poly-resin cutting board. Our Rockies ice cream trailer stands on its own as a cold food and beverage mobile kitchen. 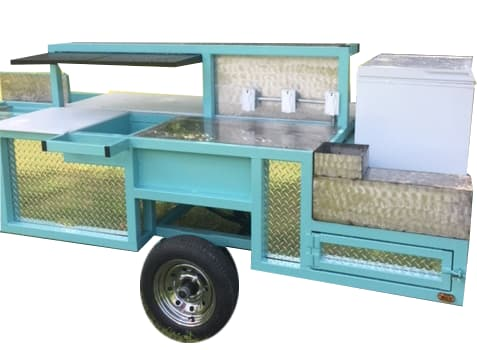 Includes eight AC plugs, three GFI plugs, a power adapter, 5-cubic feet freezer, a display ice chest, two additional ice wells, a sink, and two poly-resin prep counters. 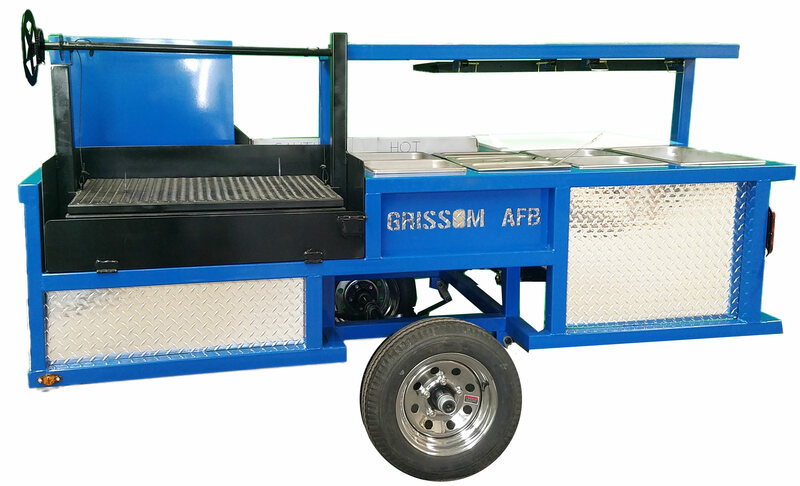 Lightweight and small yet capable of grilling, smoking, and warming, the Landry grill trailer provides flexibility and affordability. Includes a Blackstone griddle, a smoker, five-compartment steam table, and two poly-resin cutting boards. 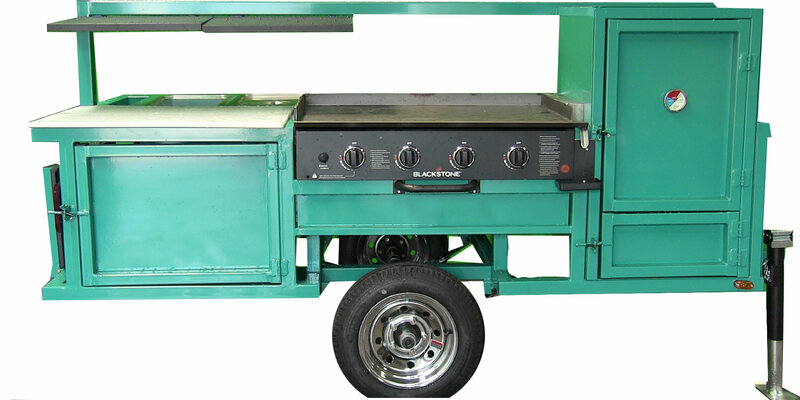 Our smallest grill trailer, the Troop, is as durable and hard-working as its name. Includes a Blackstone griddle, a warming box, a five-compartment steam table, and two poly-resin cutting boards. Easily the highest quality, most affordable food trailer in the world. Copyright © 2019 Erwin Manufacturing | Due to the custom-built nature of our items, no returns are available.